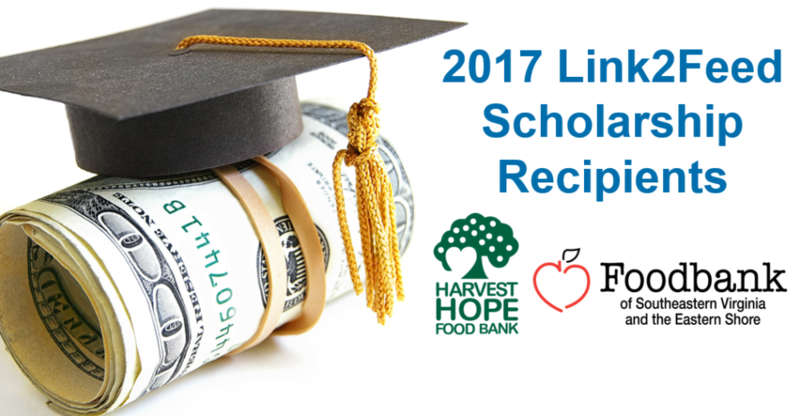 We are so excited to honor Harvest Hope Food Bank (Columbia, SC) and Food Bank of Southeastern Virginia and the Eastern Shore (Norfolk, VA) as the 2017 Link2Feed scholarship recipients! In 2016, we were able to support seven Feeding America food banks with over $130,000 in funding for various project sizes. This year, our funder decided to support fewer projects of a greater scale, offering over $100,000 in funding to two food banks implementing Link2Feed across all programs of their organization over a three-year period including pantries, TEFAP pantries, backpack programs, CSFP (and other senior programs) and SNAP outreach. The funder was impressed with the strategy and integrative use of the software by both food banks and is looking forward to keeping track of their successes in the coming years. Another Federation of Virginia Food Banks member, The Capital Area Food Bank, was one of the 2016 scholarship recipients. The Harvest Hope Food Bank is leading the way for other South Carolina food banks in their implementation of Link2Feed. Their strategy is to use Link2Feed not only to streamline compliance and reporting requirements, but also as a tool to break the cycle of poverty in their community. “This software would enable us to link all agencies and track clients between agencies and food bank operated programs. We could potentially provide more follow up with clients to see if they have connected to and utilized other community resources which enable them to work towards moving out of poverty,” says Information System Director, Kristy McLellan. The Link2Feed scholarship program is issued annually and is made possible by an extremely generous donor who has witnessed the impact Link2Feed has had on over 3,000 organizations across North America and wants to see that impact continue to grow. The program is a highly competitive bidding process which will only be made available to a select number of organizations who meet specific criteria. For more information about the scholarship program or how your food bank can benefit from Link2Feed, email connect@link2feed.com.